Levels submitted to the workshop should give the player a fun and pleasurable expierence. In general, levels should also have some level of authenticity. Each 'tile' should be placed correctly and allow the player to complete the level in a fair manner. To view the Steam Workshop levels and get inspiration for your own, click here! The missile launcher and it's corrosponding are a powerful tool for level creators to use to add intensity and difficulty to their level. That being said, the missile launcher should not be abused to make the level unbeatable or unfair for the player. The red circle around the missile launcher signifies at what distance the player needs to get to the missile launcher in order for the missile launcher to fire. 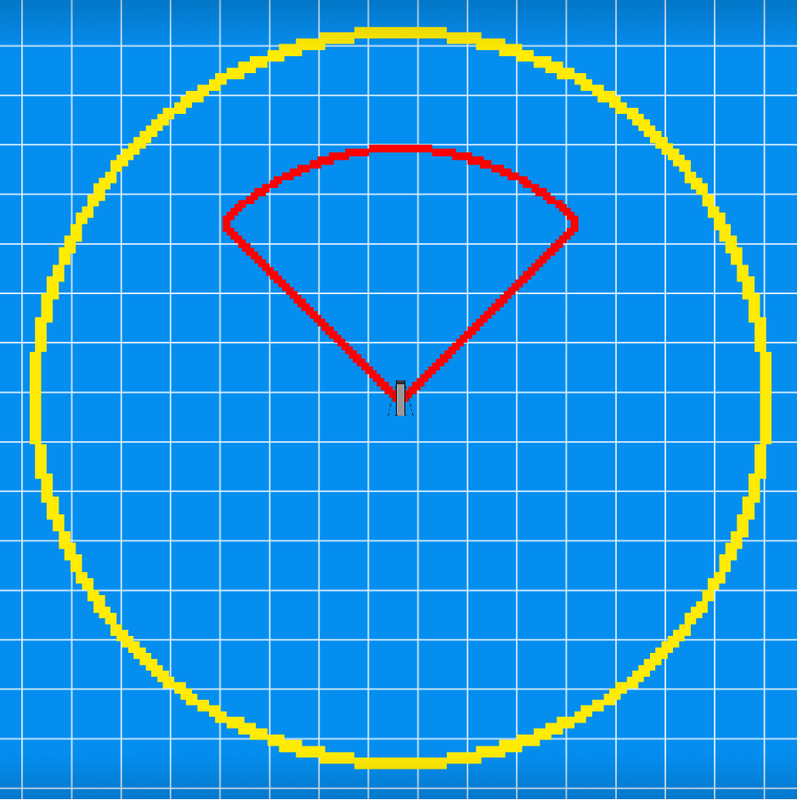 Similiarly the yellow circle indicates the distance from it's corrosponding launcher at which the missile will self-destruct and discontinue pursuing the player. Levels that are intentionally made poorly and/or with low-quality could be marked as incomplete on the Steam workshop until corrected!